Andre Guacelli ’19 interviewed Henry Foote ’19. After his first semester at Statler in 2011, Henry Foote decided to take four years off from college. He took this time to grow and develop as a person, exploring the nation, and picking up new passions along the way. Originally from New York City, Henry moved to Dallas, Texas and lived there for almost four years working in the specialty coffee industry. 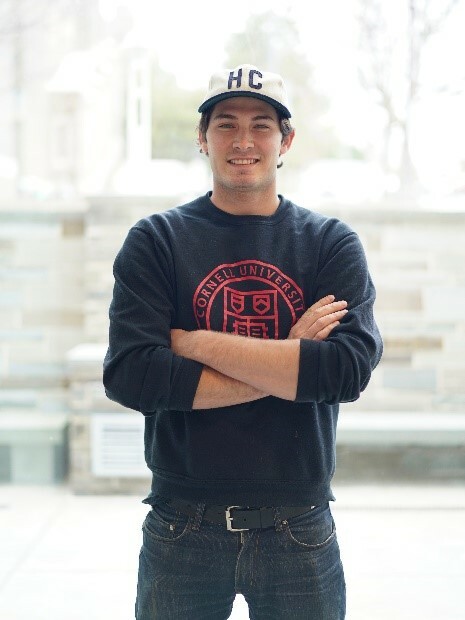 He worked as everything from a barista to manager, but decided to return to Cornell last December to finish his degree. He is completing the Beverage Concentration and hopes to one day combine his love of old motorcycles and good drinks into one concept. What’s your favorite restaurant in Collegetown? Where do you imagine yourself living after graduation? What is the luckiest thing to have happened to you? The Season/Carry Me by Anderson Paak. What is your favorite part about Cornell? The Cornell Hotel Society Executive Board thanks the Cornell Hotel Society – Collegiate Chapter for initiating and conducting the “Senior Spotlight” project.